Lanigan Moving and ware housing is popular family owned and operated moving company serving in Jackson and making clients happy and satisfied with the process done. They have been into moving industry for many years and are determined in making every move successful and hassle-free. While moving the company’s movers takes care of each and everything so to offer you a memorable and exceptional moving experience of your life. 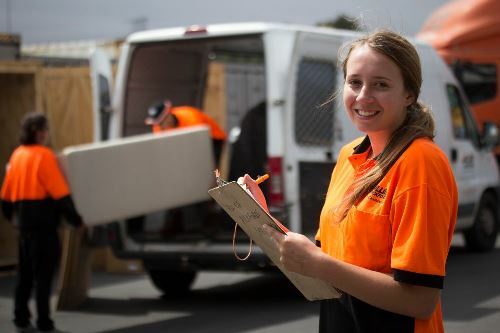 Be it residential or commercial, local or long distance, huge or small, the efficient and qualified movers of the company are capable of making each type a stress free and easy one with their unique techniques and hard work. Customer’s satisfaction is their foremost priority and while performing all the movers is abides by their quality standards of the work. Before beginning any move, they keep a check on all the preferences of their customers and make plans accordingly; they will start the move as per the convenience of the client even if it's midnight. And they also do not charge any extra fee for such services. With all the excellent services and professional movers, the company has shown a remarkable growth in terms of offering full fledge moving services. All you have to just book them as your next movers and let them do the moving for you while you just sit back and relax. Call them right away and have free in-home estimates as per your budget and preferences. Southern Heritage Transfer and Storage opened in 1949 and has been a local Jackson Mississippi ALLIED agent for 69 years. In 2018, Southern merged with Lanigan Worldwide Moving & Warehousing, another ALLIED Agent since 1955. The same dedicated team and staff now work for Lanigan Worldwide Moving & Warehousing. Lanigan Storage and Van was founded by Edward J. Lanigan, Jr. in 1955. Serving as a continuous interstate agent for Allied Van Lines, Lanigan also remains as one of the top Jackson moving companies.